Vegetation maps have been key tools for synthesizing large amounts of information and supporting geographical location of biodiversity. Traditional vegetation map development demands acquisition and processing of expensive supplies, expertise of qualified interpreters and extensive fieldwork; nevertheless vegetation maps are crucial in areas where conservation policies ought to be rapidly produced, as it is the case of the Tehuacán-Cuicatlán Valley which was recently declared a hotspot of biocultural heritage of highly important conservation. Currently, mapping approaches that integrate plant diversity outcomes, expert knowledge and land cover information are still scarce. 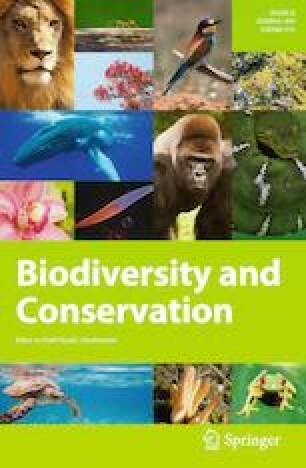 In this study we combined free access cartographic data and expert knowledge to develop a vegetation map, in order to provide basic criteria for decisions on conservation of regional biocultural diversity. Bioclimatic regionalization, georeferenced fieldwork, over 30 years of vegetation outcomes and expert knowledge enabled us to develop a novel method for vegetation mapping. Climatic, lithologic and topographic affinities were used as main criteria for map class reassignment. Field verification allowed quantifying an acceptable certainty of class assignation. Our comprehensive approach proved fundamental for developing a detailed vegetation map elucidating complex vegetation diversity patterns. The classification scheme here proposed increased almost twofold that of the original land cover map. Regarding the outstanding plant diversity harbored, the extent of the study area (~ 12 000 km2) and the scale of the vegetation map obtained, we regarded the map certainty as meaningful. To conclude, the present vegetation map proved to be a powerful communication tool to facilitate sound conservation policy making. Communicated by Daniel Sanchez Mata. The online version of this article ( https://doi.org/10.1007/s10531-019-01723-w) contains supplementary material, which is available to authorized users. The first author acknowledges the support received through a PhD scholarship granted by the Consejo Nacional de Ciencia y Tecnología. The Management and Evolution of Genetic Resources Laboratory (IIES, UNAM) provided georeferenced sites of vegetation samples and assess the preliminary maps. The research was supported by the projects IN209214 and IN206217, granted by the DGAPA, UNAM. I. Franch and P. Urquijo made recommendations on an earlier version. The Academic Writing Office of UNAM helped editing the final version. Universidad Nacional Autónoma de México via its PAEP PhD program provided financial support for field work. CONACyT provided a scholarship program to the first author.